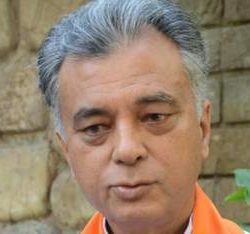 Shimla: Himachal Chief Minister advocated to implement specific road safety provisions for smooth flow of vehicles while construction of four laning projects being implemented in the State apart from maintaining quality in construction. 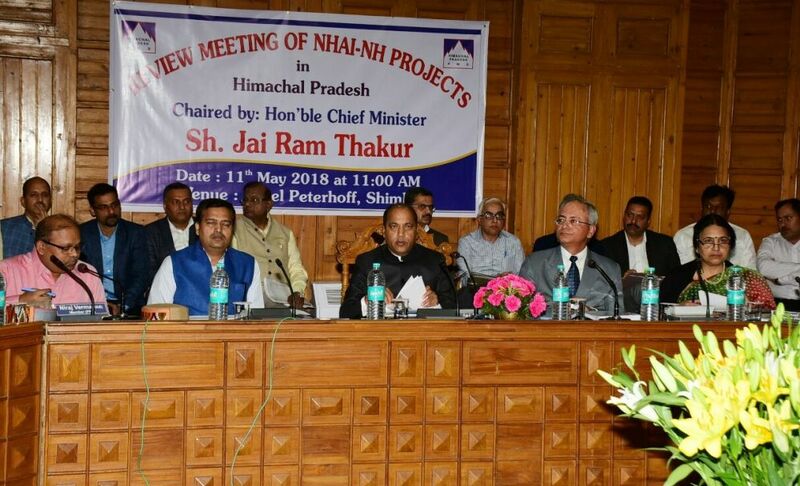 Chief Minister Jai Ram Thakur in a review meeting of implementation of four laning projects of National Highway Authority of India (NHAI) and National Highway Projects in Himachal Pradesh by the Central Team of Ministry of Road, Transport and Highways, said that appropriate rehabilitation plan for persons losing their business and livelihood due to acquisition of land should be ensured by providing them suitable compensation. 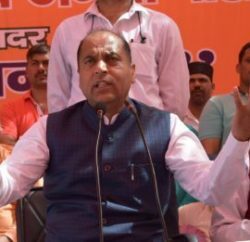 Jai Ram Thakur said that the work on all the on-going four laning projects must be expedited. The State government would ensure to provide all clearances at the earliest. He said that the best construction quality must be ensured with a major emphasis on minimum damage to the environment. He said that best network of roads in the State would give special boost to the tourism sector. He said that wayside amenities should also be created on all the major four-laning projects for the benefits of tourists and general commuters. The Chief Minister said that dumping of debris from excavation of land while widening the road may also be considered for development of grounds for educational institutions and general public wherever visible in consultation of local administration. He said that access to the existing village road and paths should be finalized in consultation with the various stakeholders. While reviewing the progress on Kiratpur-Nerchowk-Kullu-Manali four lane projects being implemented in five sections by different executing agencies, the Chief Minister said that construction of road all along the market area in Raison village of Kullu district may be done in such a way to ensure safe gap between the buildings and proposed road or alignment should be shifted. He also stressed on strengthening work on left out stretch of Kainchimor to Larol of NH-21 as per NHAI policy. He said that the whole stretch of this four laning project was scheduled to be completed by the year 2021 and it should be adhered to strictly. He said the since this road had highest flow of tourists in the State, it should be ensured that the tourists and general commuters did not face any inconvenience. He said that suitable environmental protection measures should be implemented for slope protection, road signage’s and utility ducts etc. He said that dust prevention measures should be ensured wherever required to facilitate the commuters. While reviewing the progress on Parwanoo-Shimla, Solan- Kaithlighat and Shimla bypass four laning projects, the Chief Minister said the project should be completed within stipulated time period. The State government would provide all possible help to the executing agencies for timely completion of the all these projects. He said the Union Surface and Transport Minister Nitin Gadkari was kind enough to provide all possible help from the Ministry for timely completion of these projects. He said that due to difficult topographical conditions and limited mode of communication, roads were the major mode of transportation. He said the Union government has sanctioned 69 National Highways for the State and his government in last four months has issued Letter of Acceptance in respect of 53 National Highways. The Chief Minister claimed that out of total 3226 panchayats of the state only about 100 panchayats were left to be connected by road and assured to connect left out states soon. Additional Chief Secretary PWD Anil Khachi said that the State government would provide all possible help to the National Highway Authority of India for time bound completion of all these road projects. NHAI Member Niraj Verma gave a detailed power point presentation on the occasion. Additional Chief Secretaries Manisha Nanda and Ram Subhag Singh, PS to Union Minister for Shipping Road Transport and Highways Vaibhav Dange, Additional Director General Union Minister for Shipping Road Transport and Highways B.N Singh, T.T. Negi, Chief Engineer Ministry of Surface Transport, DC Kullu, Mandi, Kangra and other officers of the State government were present on the occasion among others.